When the energy in the heavens exceeds the atmosphere’s capacity to contain it, things can get interesting…As we emerge from the clouds, lightning bolts illuminate the airfield as if billion-gigawatt-approach lights. 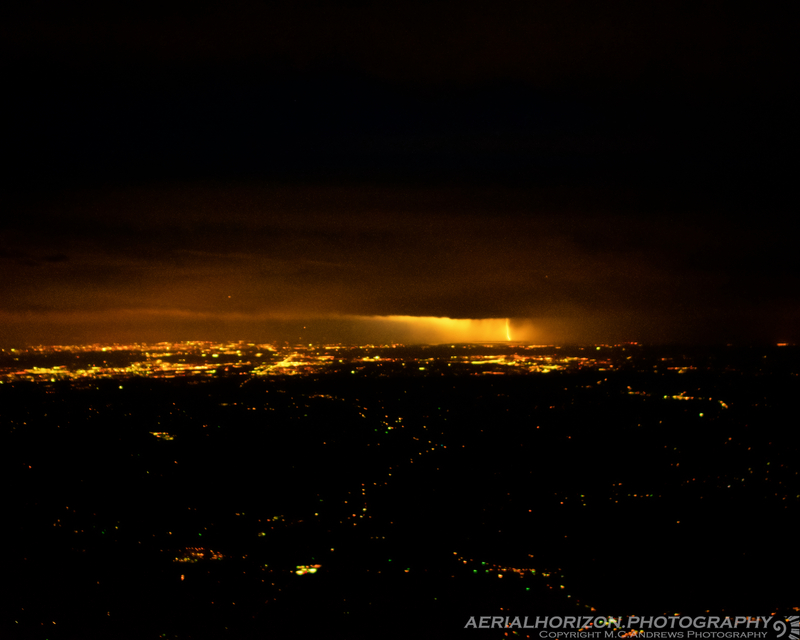 The violent energy laden storms surround the airfield on three sides, creating a dramatic light show throughout our eventual approach. While all this made for good sport, the skill and care displayed by the air traffic controllers in bringing all of us through the mess was admirable.